21. HONEY WON’T YOU PLEASE COME HOME? 24. IS IT REALLY OVER? This CD contains something priceless: New numbers you've never heard Jim Reeves sing before! A total of 31 tracks, including 21 NEW OVERDUBS of songs with which you may indeed be familiar, but which now feature sparkling new musical backings by some world-class musicians, imparting a fresh sound to Jim's timeless voice. All have been remastered for exceptional clarity and richness. Although some tracks have lush strings and even harp and French horn, the majority reflect his Texas roots. They are more “country” in flavor, with an acoustic feel that delights. Among the musicians who played on these re-done tracks are members of the current Grand Ole Opry band in Nashville! It’s amazing that after all these years, unheard material by Mr. Reeves is still surfacing, but it’s no surprise these rare recordings are making their worldwide debut thanks to VoiceMasters, which has uncovered so many songs by Gentleman Jim not known to even exist. There are also some surprises on the CD which we’ve been asked not to disclose; sort of like a “surprise ending” in a movie theater. This CD was produced by VM head Larry Jordan, who has a talent for knowing exactly what treatment each song needs, and then assembling the right team of musicians to accomplish it. Some of these tracks were previously overdubbed by RCA many years ago but sounded foggy then; new digital technology and the know-how of VoiceMasters engineers have brought an impressive clarity to these old demos and radio transcriptions which miraculously now sound like studio masters. Though hundreds of labels have released a few of these tracks, we guarantee nobody has ever given them this new musical backing. So they will sound great to you! Highlights include a rockabilly approach to “Send Me Back My Love,” an earthy new feel for “Most Of the Time” (with dobro and mandolin), pretty strings on the waltzes “One Little Rose” and “Kentucky Waltz,” and an amazing restoration of sound/new music on the toe-tapping "Never Take No For An Answer." Even Jim's signature song, “He'll Have To Go” gets an appealing new acoustic interpretation here, as does “Is It Really Over?” — the latter of which has a transforming backing that includes steel, turning it into more of a country flavored tune. Plus there's so much more. There's also an informative booklet inside with fascinating insights into this remarkable artist, whose passing 50 years ago this summer left the music world bereft of one of its greatest talents. 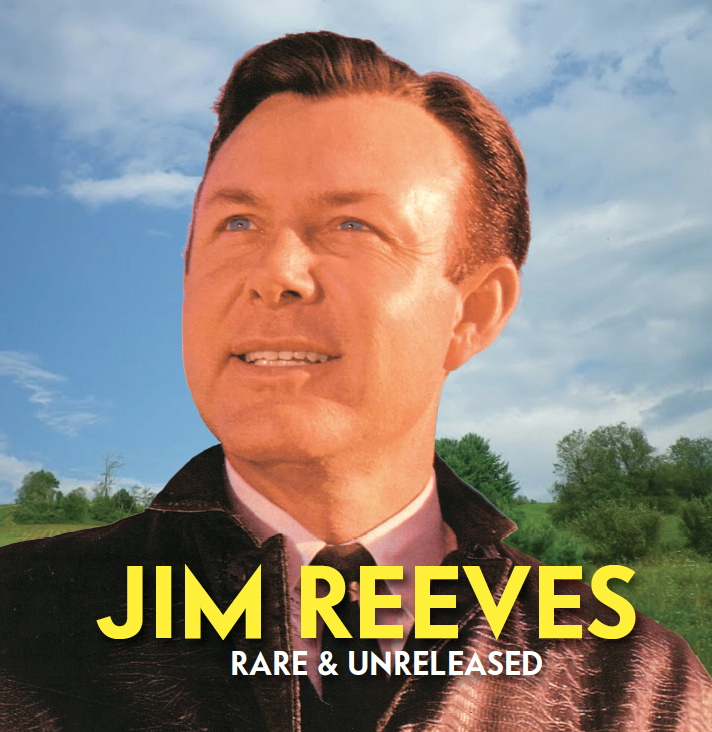 But thanks to VoiceMasters, Jim Reeves' legacy is being preserved and enhanced with the release of these very special CDs. You can be confident you will enjoy this splendid new release! To hear audio samples, click the speaker icon below! In stock and ready to ship. So order today to be among the first to receive this CD!